Cats have been tolerating humans in domestic settings for thousands of years. Invite them into your pants with these adorable boxers! On the front of the wrapper you'll see the title - "PET THE KITTY"
All of my boxers are full-cut with a three-panel design (no center back seam) and a functional fly. I make all of my products in a smoke-free home, I only use woven 100% quilter's quality cottons, I prewash all fabrics before I cut so the finished garment stays true-to-size, and all interior seams are finished by flat-felling. 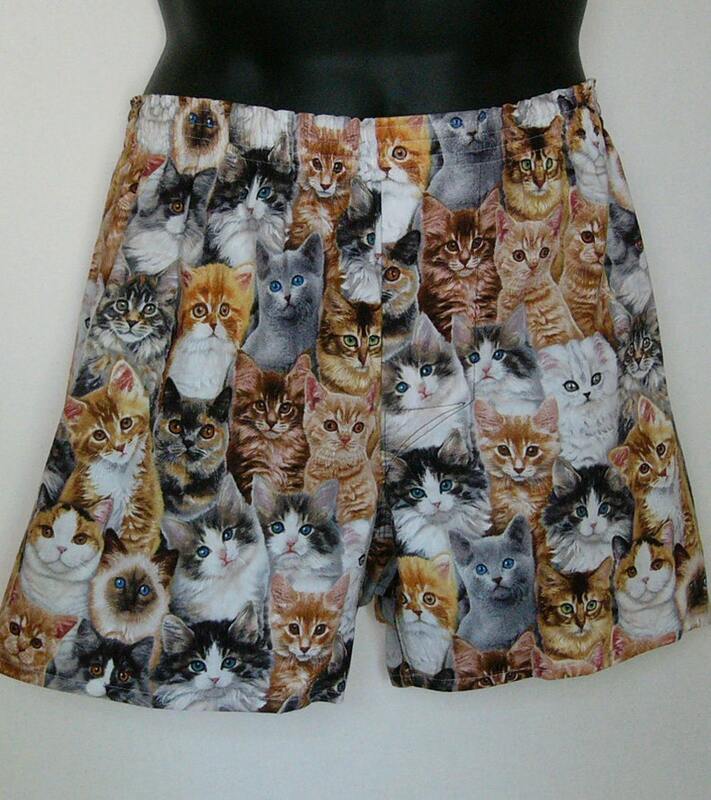 These are some quality underpants... it's like keeping a whole herd of cats and you don't even need a litter-box! I'm A repeat customer and I love the boxers plus thee excellent service.